Tomorrow Making; our present to the future, is the Australian Association of Environmental Education 2016 National Conference. 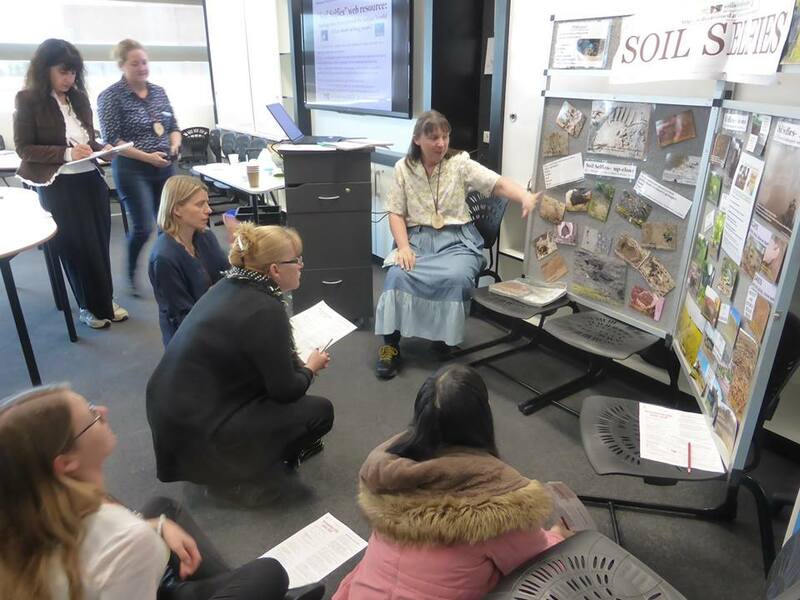 The Reconnecting with Soil – Snooping into Soils workshop fell under the theme of ‘Reconnecting with nature’. soil is our ground – connection to our earth. The workshop went off fantastically with teachers fully involved in doing the activities, firstly the Soil Selfies photos, then moving on to the Snooping into Soils ones. Notes for the reconnecting-with-soil-aaee-2016-workshop-4g are here. Just like youngsters, the participants were amazed at seeing new things in soil under a magnifying glass, how soil reacts when a single drop of water hits it, and the different reactions and compositions in a range of Soil Shakes using soils collected mainly on the way here. 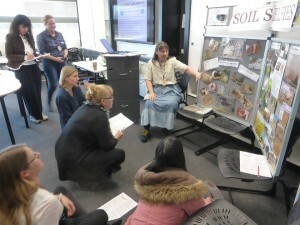 All reported that they had learnt lots or had a completely new way of looking at soils. I enjoyed sharing my activities with them, providing new ways to engage school children as a contribution to the International Decade of Soils. and 2 inspiration to include some soils learning – at all levels of F-Y6 Curriculum – based in AC Science, especially using our senses to carefully observe detail.